Real Madrid forward Gareth Bale said winning the Champions League in his home city of Cardiff is ‘a dream come true’. 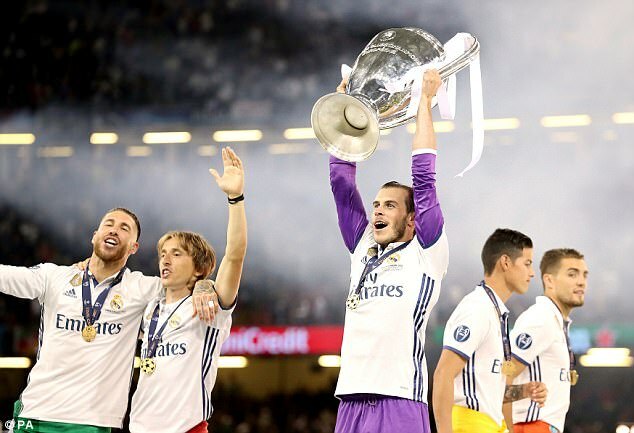 Cristiano Ronaldo’s brace helped Real Madrid retain the Champions League in surprisingly comprehensive fashion, wrapping up a historic 12th continental crown by overcoming Juventus in a memorable Cardiff showdown. 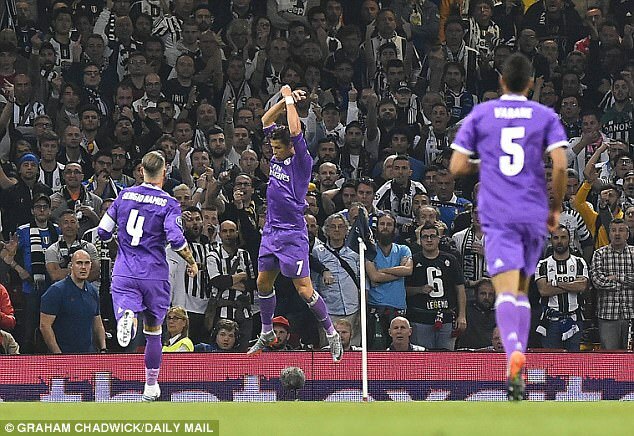 Juventus started the brighter and Mario Mandzukic’s overhead kick will live long in the memory, but Ronaldo’s brace along with efforts from Casemiro and Marco Asensio left Real celebrating a comfortable 4-1 win. ‘To win at home is a dream come true,’ Bale told BT Sport 2. ‘It’s been a hard season and I’ve worked hard. It didn’t seem like I was going to make it to the final but I’ve worked tirelessly at home and it’s the reward you get for all the hard work you’ve put in. ‘We’ve made more history. I’m a happy man to win the 12th and we’ll enjoy this moment now. Meanwhile, Real’s World Cup-winning midfielder Toni Kroos hailed Ronaldo and revealed he did not expect to defend the trophy successfully. The 27-year-old said of Portuguese playmaker Ronaldo: ‘Everybody knows that he is very important. As a team we played very good in the quarter-finals, semi-finals and today but at the end you need a guy to score to win this title and he did. Kroos added: ‘I didn’t expect it would be possible to defend this title as it’s so difficult to win it once. But to do it twice in a row is unbelievable. ‘To win it three times in the last four years means a lot. It means it’s not only a good team on the pitch but off the pitch. It’s like that and I’m happy to be part of the team.